[S2334] Tom Dimock, family web site titled "Dimock Genealogy", http://dimock.ca, viewed Jul 2011. [S1132] Very, family tree titled "LDS Historical", published by Ancestry.com, wc.rootsweb.ancestry.com, from database named ldshistorical, updated Jul 2011, viewed Aug 2011. [S2448] Find A Grave: Provo City Cemetery, Provo, Utah, Zola Dimick McFadden, created by Burt, added Dec 2010, memorial number 63509869. [S2364] 1930 US Federal Census, Provo, Utah County, Utah, digital image Ancestry.com ; National Archives micropublication, Arel M Dimick head of household, roll 2423, enumeration district 50, page 1A. [S1422] State of Oregon, Oregon Death Index, 1898-2008, Digitized by Ancestry.com Operations, 2000. (Original publication: www.ancestry.com Oregon Death Index, 1898-2008, ancestry.com). [S383] California Marriage Index, 1960-1985, online database, digitized by The Generations Network Inc, 2007 www.ancestry.com. Original publication: State of California California Marriage Index, 1960-1985, Microfiche, Center for Health Statistics, California Department of Health Services, Sacramento, CA. [S2445] 1920 US Federal Census, Holden, Millard County, Utah, digital image Ancestry.com ; National Archives micropublication, Francis Dimmick head of household, roll T625_1863, enumeration district 24, page 5B. 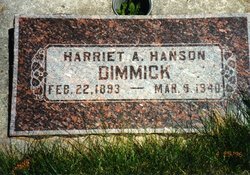 [S2446] Find A Grave: Fillmore Cemetery, Fillmore, Utah, Harriet Hansen Dimmick, created by Gail Allred, added Apr 2011, memorial number 68668850. 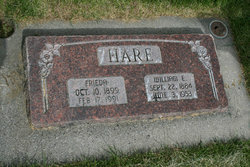 [S2446] Find A Grave: Fillmore Cemetery, Fillmore, Utah, Frieda Minnie Rahmoller Hare Dimmick, created by Dianna E, added May 2011, memorial number69741390. [S2323] Utah Military Records 1861-1970, online database, digitized by Ancestry.com Operations Inc, 2011 www.ancestry.com. Original publication: Division of Archives and Records Service Department of Administrative Services Military Service Cards, ca 1898-1975, . [S1437] National Cemetery Administration, U. S. Veterans Gravesites, ca 1775-2006, Digitized by Ancestry.com Operations, 2006. (Original publication: www. ancestry.com National Gravesite Locator, Ancestry.com, Provo, Utah). [S1047] California Birth Index, 1905-1995, online index database, digitized by Ancestry.com Operations Inc, 2005 www.ancestry.com. (Original publication: State of California California Birth Index, 1905-1995, Sacramento, CA, USA: State of California Department of Health Services, Center for Health Statistics). [S2348] Berna Dimick Davies, Deseret News website newspaper on-line, 7 Oct 2010 obituary notice ,www.legacy.com/obituaries. [S2347] US Obituary Collection, online index database, digitized by Ancestry.com Operations Inc, 2006 . (Original publication: Newspaper: Deseret News 7 Oct 2010 Salt Lake City, Utah). [S1507] Utah Cemetery Inventory, online index database, digitized by Ancestry.com Operations Inc, 2000 . (Original publication: Utah State Historical Society Salt Lake City, Utah). [S2334] Tom Dimock, family web site titled "Dimock Genealogy", http://dimock.ca, viewed Jul 2011 , 1928. 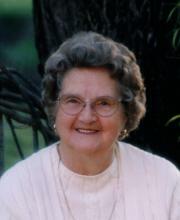 [S2334] Tom Dimock, family web site titled "Dimock Genealogy", http://dimock.ca, viewed Jul 2011 , Sheri. [S3680] Brittany Suzanne Dague Smith, e-mail message to Linda Sargent Reinfeld, received 19 May 2012. [S2343] Genzieswife, family tree titled "Roper Branches", published by Ancestry.com, www.ancestry.com, viewed Jul 2011.